Elon Musk, the chief executive of Tesla Motors, has called the recent New York Times Review on the Tesla Model S as ‘fake’. The Tesla boss went on Twitter denouncing the review and defending the carmaker’s highly touted family super saloon all electric car. The review said that the electric car ran out of power sooner than expected when it was driven on one cold winter day. Musk tweeted, “NYTimes article about Tesla range in cold is fake.” He added that Tesla is preparing a blog to detail what actually occurred in the test driver and is now “lining up other journalists to do the same drive”. For its part, the New York Times defended its review, claiming Musk’s assertions as ‘flatly untrue’. The review was done by John Broder, who test drove the Model S from Washington DC to Connecticut. He said that during the trip the battery charge drained sooner than touted, which then forced him to turn down heating and drive beyond the speed limit. Ultimately, the car did not reach its destination and had to be towed to a charging station. As for the tweet by Musk, the New York Times in a statement said that the review was ‘completely factual, describing the trip as it occurred. Any suggestion that the account was fake is of course, flatly untrue.” It further added that there was no unreported detour that occurred during the test drive. Tesla has repeatedly stated that the Model S has a range of 265 miles or 426 km on a single full charge. In some instances, the car firm said that the Model S can run up to 300 miles. Many industry experts has observed that the range of electric cars lower because of cold weather. 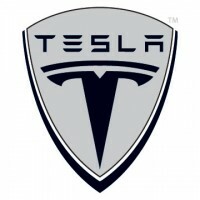 In another move, even Model S owners are organizing to set the record straight regarding the review John Broder did for the New York Times on the Tesla Model S. These concerned Tesla owners would be replicating the travel done from Maryland to Connecticut to show that the vehicles are more than able to complete the trip he couldn’t complete. The counter-review trip would start from Tesla Service Center in Rockville, Maryland and they would pick up several other Tesla Model S owners at the Delaware Supercharger, stopping over at Milford Connecticut SuperCharger to recharge their vehicles to full. The drivers would even be staying at the Groton, Connecticut hotel that Broder was billeted during his trip. The crowdsource trip is replicating the Broder trip as closely as possible. A Twitter account has been set up so that team members can update one another during the trip. The car’s data logs would also be provided to support Musk’s rebuttal to the New York Times review. The New York Times review has caused a ripple in the share prices for Tesla, falling two percent since the review came out last February 8. Overall though, the last twelve months have shown that Tesla share prices rise by 23.5%.